Join noted cookbook author and food journalist Patricia Wells tonight from 6-9pm at the Dining Room at Kendall College for a four-course meal (and wine) to benefit the new American Institute of Wine & Food scholarship program. Tickets are $85 AIWF Members / $100 non-members; the price includes signed copy of Wells's book We've Always Had Paris...and Provence. Call 312-752-2328 for reservations. The Neo-Futurists present Picked Up, a weekly series of "TV pilots" performed on stage. This week's pilot: "Too Much", which appears to be a performance artists' version of "The Real World". "Too Much" will be performed this Thursday, Friday and Saturday at 8:00 PM. Tickets are $15, $10 for students/seniors, and pay-what-you-can on Thursday nights. Picked Up runs through May 17, and each week is a different pilot; check the Neo-Futurist Website for a complete schedule. Neo-Futurarium: 5153 N. Ashland (at Foster). (773) 275-5255. Jeff Parker, best known as the guitarist in Tortoise, is also one of the city's busiest improvisational musicians. His work as a jazz musician is documented on two Delmark and one Thrill Jockey albums with him as a leader, in addition to his rich discography as a sideman. In May we are treated to four Thursday performances at the Velvet Lounge led by Mr. Parker, each with a different lineup. Tonight, Jeff Parker will be joined by tenor saxophonist Ed Wilkerson, bassist Josh Abrams, and drummer Nori Tanaka. 8:30 PM, $10 cover, Velvet Lounge, 67 E. Cermak Rd. John Hagedorn will be at 57th Street Books to talk about his book A World of Gangs: Armed Young Men & Gangsta Culture. Free. 6pm. 1301 E. 57th St. Call 773-684-1300 for more information. Chicago actresses Rebecca Spence and Michelle Roberts will present a dramatic reading of poems from I Speak of Simple Things by Donna G. Humphrey. At the Harold Washington Library Center. Free. 6:30pm. 400 S. State St. Call 312-747-4300 or visit the website for more information. Author David Samuels will be at Quimby's to talk about his books Only Love Can Break Your Heart and The Runner. Free. 7pm. 1854 W. North Ave. Call 773-342-0910 for more information. Join Patricia Wells for a wine and cheese reception at The Book Cellar as she talks about her book We've Always Had Paris…and Provence: A Scrapbook of Our Life In France. Free. 4pm. 4736-8 N. Lincoln Ave. Call 773-293-2665 for more information. 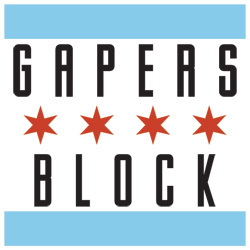 Join DJ Lapple Pietunes (Lauri Apple) from Gapers Block, and Tankboy (Jim Kopeny) from Chicagoist, as they play tunes and compete for your affection. Prizes, smiles, and genre-jumping galore. 9 p.m.-2 a.m. 3425 W. Fullerton. For more info, visit the Website. Discusses how, in 1966, drag queen prostitutes who rioted against a police raid at Compton's Cafeteria in San Francisco's Tenderloin district launched a new movement for transgender rights across the country. The radical phase of that movement drew to a close in 1973 with the collapse of the Lavender Panthers, a Tenderloin-based armed self-defense street patrol. In the intervening years, transgender people participated in a movement for freedom of gender expression that offers contemporary researchers a new view on that turbulent era's politics. Activist and expert Susan Stryker looks at the history of transgender activism throughout the nation and Chicago. Part of the Out at CHM series. $12/$10 for museum members and students with a valid ID. 6:30 p.m., with cocktail reception starting at 5:30 p.m. 1601 N. Clark. 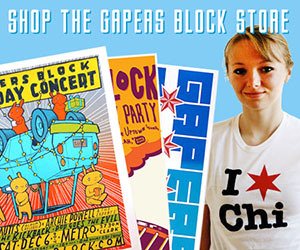 For more info, call 312-642-4600 or visit the Website.